The live event (on Gospel Music Channel- now known as UPN, but also on TBN as well this year) takes place in Nashville, Tennessee (except for 2011 and 2012 which was in Atlanta, Georgia); and the ceremony features many live performances from nominated artists (or maybe some artists not nominated), with awards presented throughout the night. There are tributes, artists inducted onto the Hall of Fame, and it’s just a general fun night to celebrate the pop/CCM music industry and what they do for God, and for music in general. 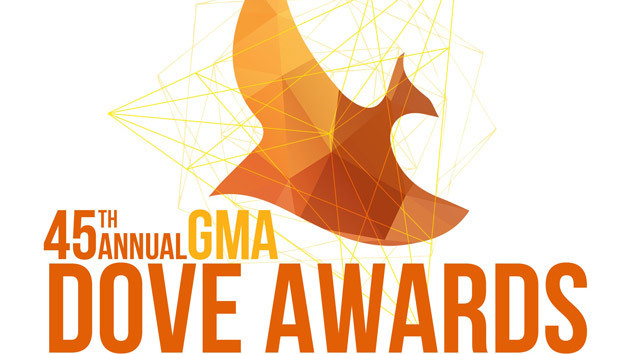 The annual Dove Awards, in which the nominations used to be announced at the beginning of the year for an awards night to be held in April (and the eligibility period was October the previous year stretching back till November the year before that), are now held and televised in October, with the nominations from April stretching back till May the previous year. And with nominees being chosen from around 42 categories, there’s bound to be some surprise inclusions and omissions within the nominated group. However, I have already voiced my opinion on the nominations (you can read my extensive post here! ), so I am now going to talk a bit about the winners last night. So while I was looking at my twitter feeds and facebook timeline at the real time updates, as I was bombarded with news of expected and unexpected winners (in the pre show- during the actual show, I couldn’t look at the twitter feeds live as there are other things I had to do that day), I was also watching Jaci Velasquez eloquently and skillfully covering the red carpet live for Hear It First. The only place to watch the Doves live (they obviously weren’t going to show the performances and the speeches by the winners- that’s reserved for a few days’ time when the show is broadcast on TBN! ); I sat through 90 minutes of Jaci interviewing artist after artist, and it was a fun and enjoyable time as I learnt a bit more about what makes these artists excited for the Dove Awards and for reconnecting with their friends that they haven’t seen in a long time! Though I am not going to delve into the winners in extreme detail, let me first give you an external link so that you can view them. Have you read through them? Good! Now let’s dive in! While everyone will be talking about Hillsong UNITED winning artist of the year (I wrote an article just recently about their song “Oceans”), as well as the song “Oceans” winning in many categories (song of the year, contemporary Christian performance, pop song and worship song of the year), let me just say that I myself never saw this coming, could never fathom the magnitude of how the song would impact the lives of many people, and I never saw how the Doves would recognize that immense talent and sheer brilliance that I have seen over the past few years from the Aussie band that I felt so indifferent toward pre-ZION. But ZION was indeed a career defining album for Hillsong UNITED, and the Hillsong church in general, and what better way to mark that positive change in their career in general than at the Dove Awards. Ellie Holcomb winning New Artist of the Year, as well as wins from Switchfoot (Rock/contemporary song, Rock/contemporary album, Long Form Music Video- Fading West), Skillet (Rock song, Rock album), Kari Jobe (Worship album), MercyMe (short form music video- “Shake”), God’s Not Dead (Inspirational film of the year), Brandon Heath (Christmas album), Mandisa (Pop album), Michael W Smith (Inspirational Album) and Selah (Inspirational Song) all were pleasing for me to know and to see (most of the other categories I was indifferent about, inclusive of the gospel categories such as the Gaithers and the Crabb family); and overall I thought the Doves this year were less biased and more well-rounded than previous years. Sure the nominations is always the tricky part, but when it all comes down to it, I think that this year’s winners are pretty much spot on. Too bad that there isn’t really a spot for 2nd place, or 3rd place, as all of the nominated artists, albums and songs are all deserving in the categories they were nominated in. But anyway, I guess in the Christian music industry, it’s an honour just too be nominated, right? Would the winners have been different if artists like Newsboys (Restart, “Live With Abandon”, “We Believe”), MercyMe (Welcome To The New, Artist Of The Year, “Shake”, “Greater”), Steven Curtis Chapman (The Glorious Unfolding, “Love Take Me Over”, “The Glorious Unfolding”, Song of the Year, Artist of the Year), and Building 429 (We Won’t Be Shaken, “We Won’t Be Shaken, “Press On”, Artist of the Year) were present in the categories mentioned in the brackets above, as well for the albums and songs above as well? I don’t know, and I don’t want to speculated on the could-have-beens and should have beens. However one thing is for sure, I will certainly be tuning into the performances in a few days time (someone will put them online! )- will you? Though the nominations list was flawed yet still having good choices, I would say that the winners picked themselves yesterday (generally speaking!). What do you think of the winners? Tell us your ideal Dove Awards nominations list and your ideal winners list? We’d love for you to comment!